Workflow Software vs. BPM Software: What’s the difference? Let’s think about this at the software level – In your opinion/experience/expertise, what are the key differentiators between a workflow product and a business process managmement (BPM) product? Your opinions can be formed with experience from within or outside of the SharePoint arena. 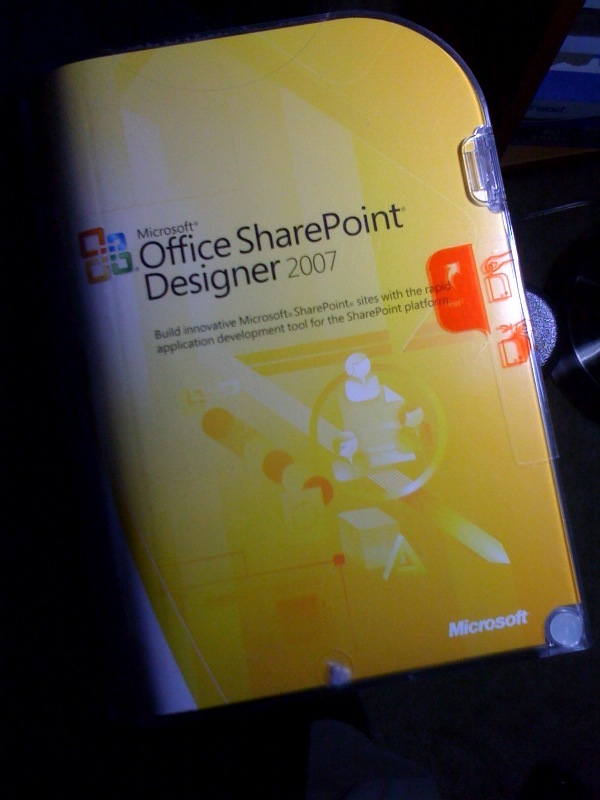 A lucky commenter that I choose at random on January 31, 2010 will win a super rare, ultra collectable copy of SharePoint Designer 2007 in mint condition pictured below :). Unopened and in mint condition!